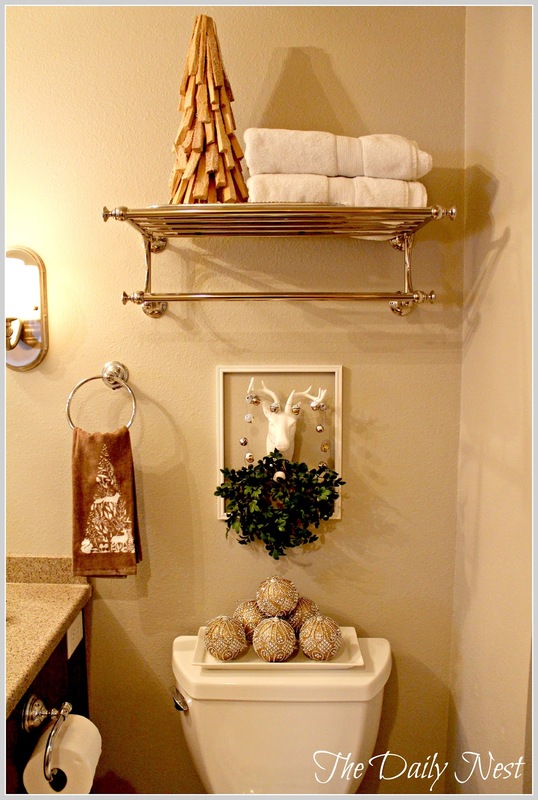 Christmas Details In The Bath! 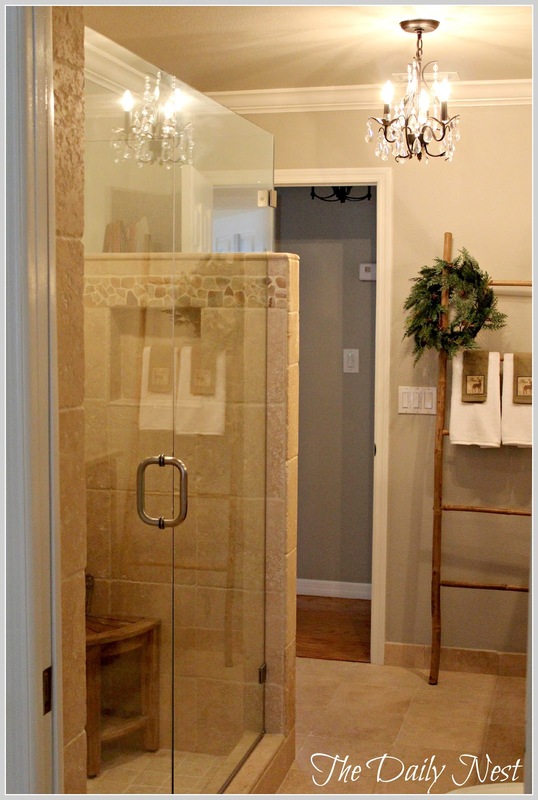 The Daily Nest: Christmas Details In The Bath! Christmas Details In The Bath! If you've been following me this week, you've probably noticed that I've posted a lot! I mean a lot for me! I thought I would give you all a tour of each of my rooms that I decorated for Christmas, followed by a whole house tour on Monday. Including some never before seen outside Christmas decor, compliments of my husband, Mike. 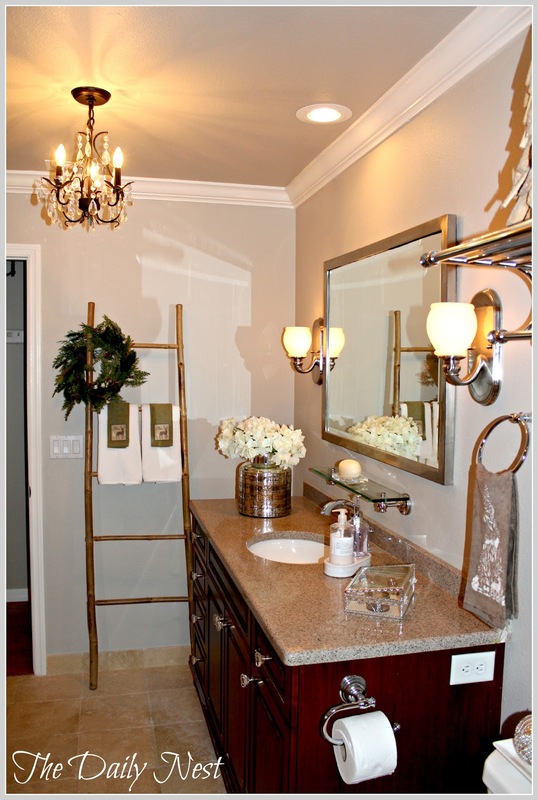 Next up is my master bathroom. Just a few little touches, but I thought it was a space that I haven't shared very much before. Although it's definitely one of my favorites! 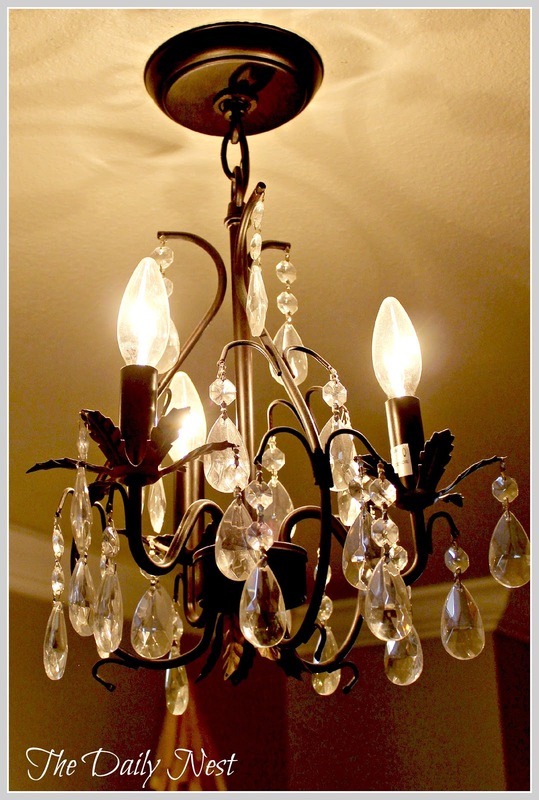 I also wanted to share with you my beautiful chandelier from Joss & Main. It is simply stunning and really adds an extra "WOW" factor!! 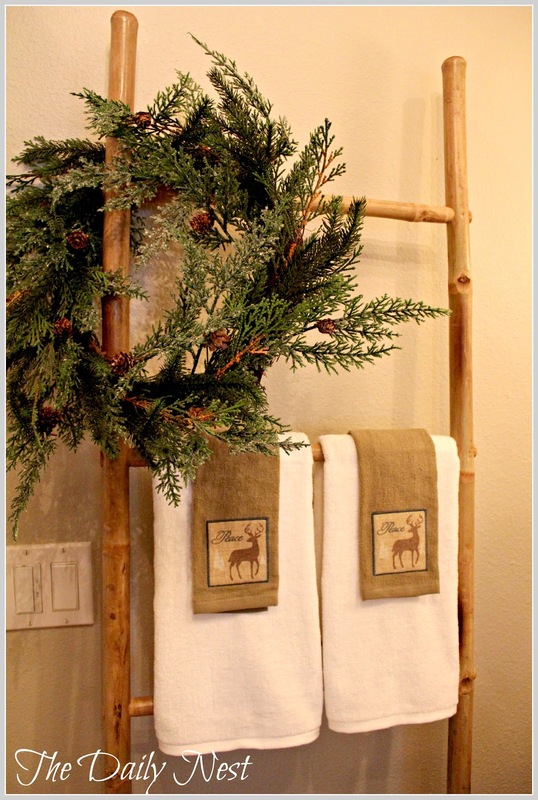 I moved the bamboo ladder in here and dressed it up with a little wreath and cute little deer towels. Speaking of deer… Isn't he adorable!! 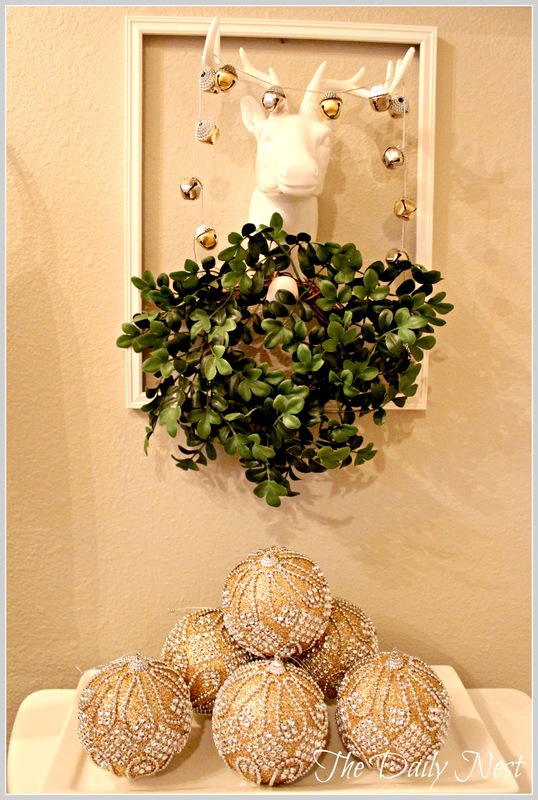 I found him at Homegoods the other day and added the little boxwood wreath and bells from the dollar store. Then placed him in an empty frame. Instant art! A driftwood tree atop of the train rack completes the little potty vignette. Sorry I couldn't think of anything else to call it! Gold sparkly ornaments dress up the back of the potty. There you have it! Simple and to the point. 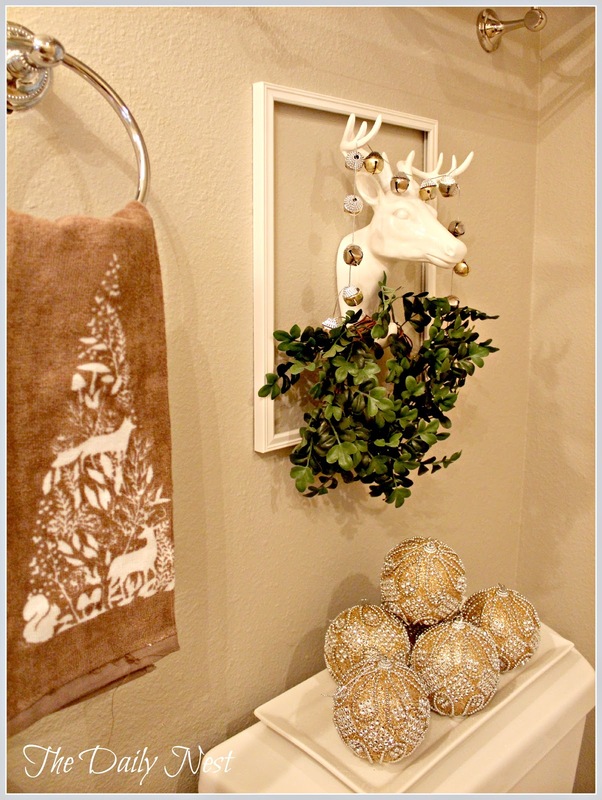 I don't like clutter in the bathroom so in my opinion with Christmas decor, less is more!